and, try this healthier alternative! Lower in calories, lower in sugar, and quick and easy preparation! 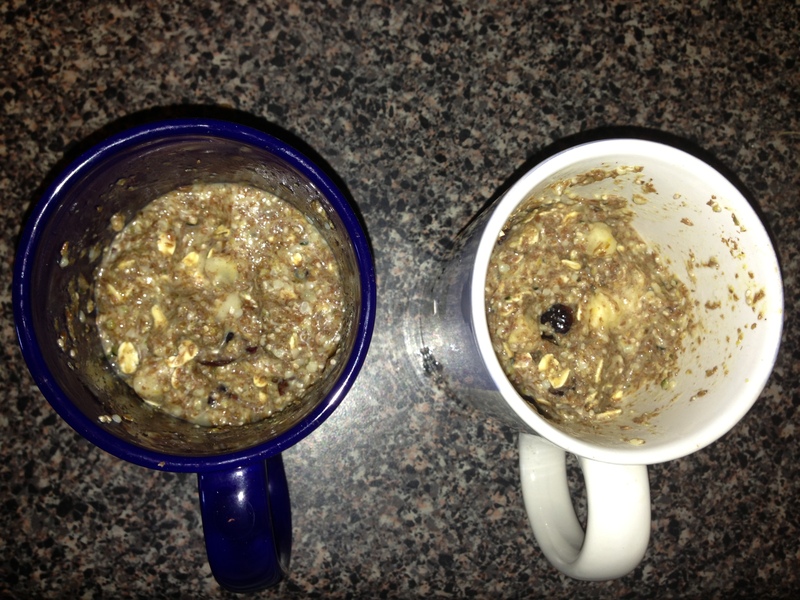 First, mix dry ingredients (flaxseed meal, l-glutamine, hemp seeds, chia seeds, rolled oats, cinnamon, and dried cranberries) in a medium-size mug. Next, add wet ingredients (mashed banana, egg, and melted coconut oil). 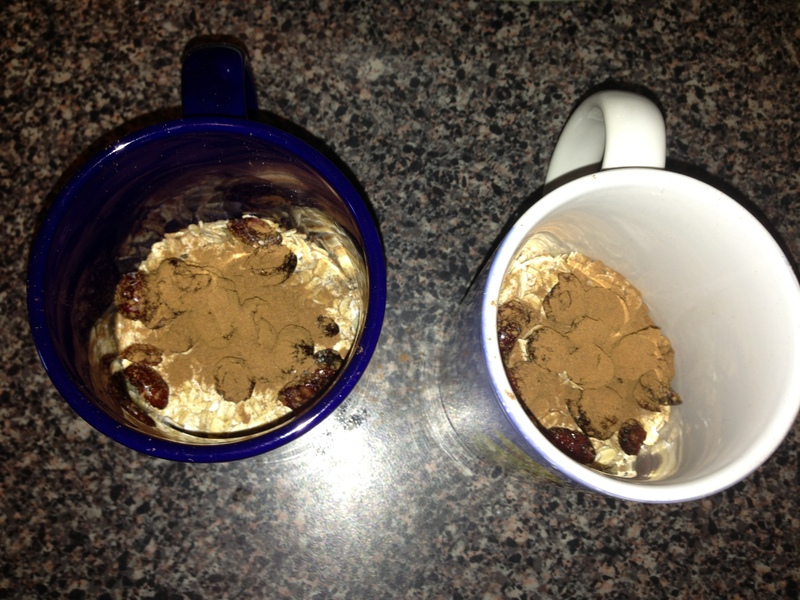 Vigorously mix all ingredients with a spoon, scraping sides and bottom of mug. 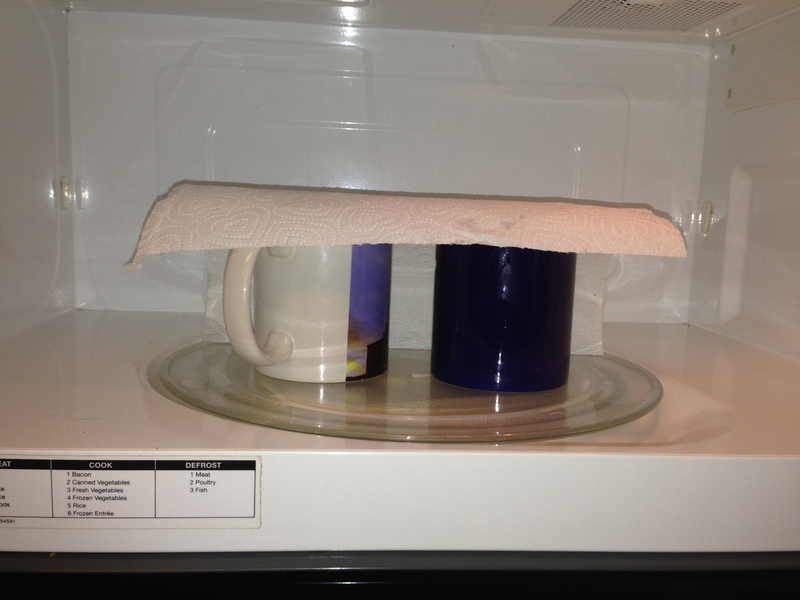 Place mug inside microwave, covering with paper towel and heat on high for 50 seconds to 1 minute (2 minutes for 2 muffins). *Time may vary depending on power of microwave. Allow 30 seconds for muffin to cool. Turn mug upside down and shake above plate until muffin pops out. 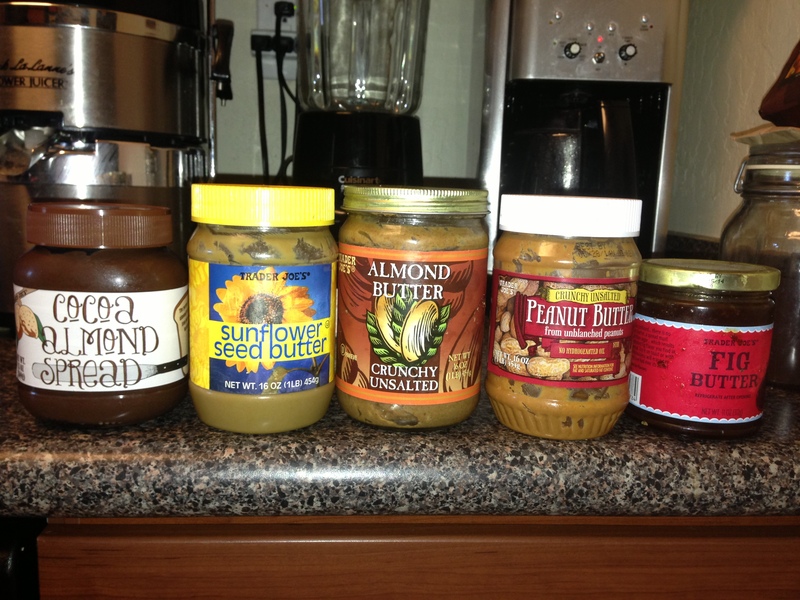 Optional: Spread almond butter, sunflower seed butter, peanut butter, fig butter, or honey for additional sweetness! 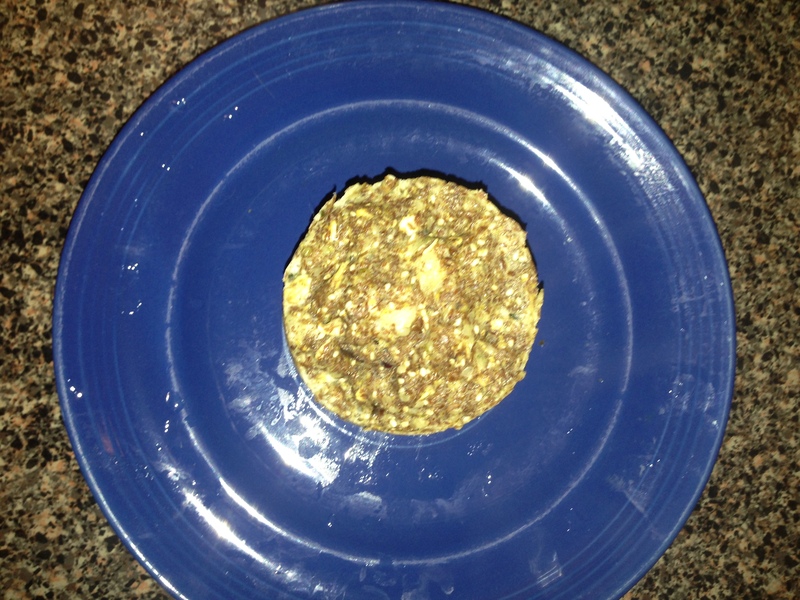 * Critical ingredients are flaxseed meal, egg and/or egg whites, and coconut oil. The other ingredients can be omitted or altered based on your own food preferences. You may also add ingredients not listed – be creative! 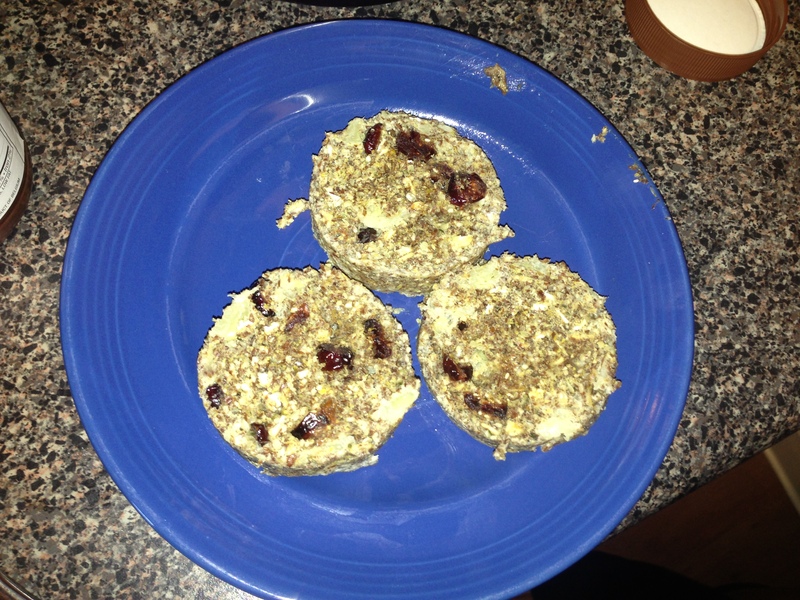 Fiber One cereal, chopped dates, chopped nuts, and sunflower seeds are also suitable and healthy additions. Please share any new creations you discover! 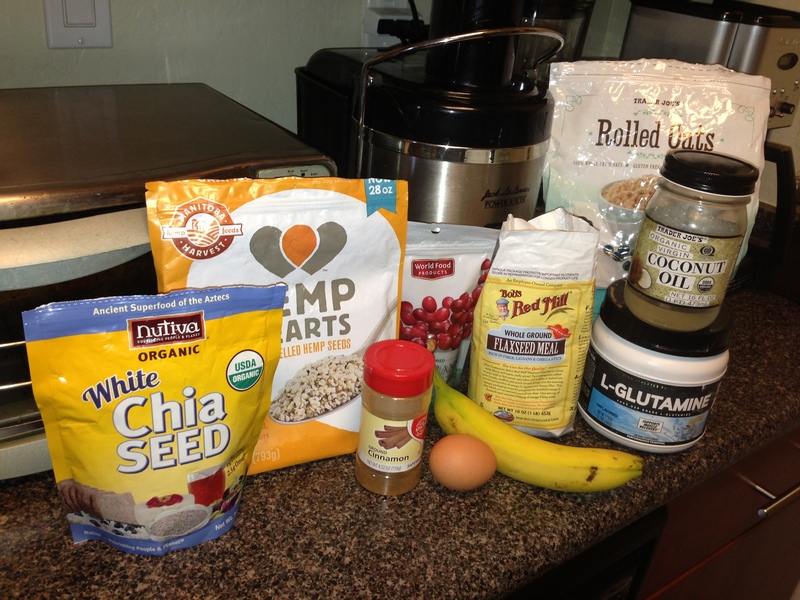 This entry was posted in Healthy Food Recipes, Inspiration and tagged Banana, Chia seeds, Coconut Oil, Egg, Egg Whites, Flax Muffin, Flaxseed Meal, Healthy Quick Breakfast, Hemp Seeds, L-Glutamine, Oats, Protein Powder. Bookmark the permalink.